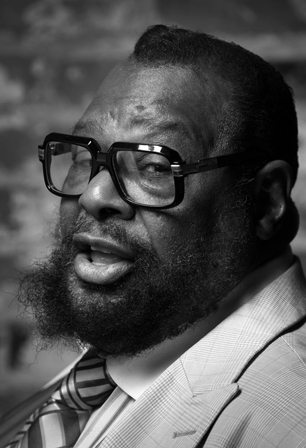 George Clinton is writing a memoir that Atria Books expects to publish in the spring of 2014. The funk pioneer has teamed with Ben Greenman, a novelist and editor at The New Yorker who collaborated with Questlove on the Roots drummer's own forthcoming book, Mo Meta Blues: The World According to Questlove. Clinton, 72, promises to take readers through his career, starting out as a member of a barbershop quartet in New Jersey and continuing through his rise in the music industry with Parliament and Funkadelic. The book will also chronicle Clinton's struggles with addiction. "Clinton's life is every bit as outrageous, revolutionary and intoxicating as his music," Malaika Adero, vice president and senior editor of Atria, said in a statement. In the memoir, the Parliament-Funkadelic founder will also reveal details regarding legal battles he waged to gain control over copyrights allegedly pilfered early in his career. “They can take what they can take, but they can't take my story," Clinton said in a statement.